Thank you for visiting. Obviously, we have a great love for Lipizzans and, most likely, you do, too. Any comments, suggestions, additions, corrections are welcome. 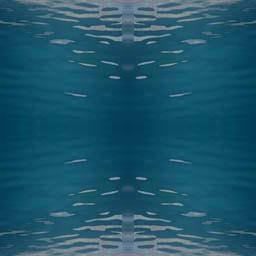 I hope you enjoy this site. The horse must be strong enough to carry the rider easily, resistant enough to cover long distances at speed and work with a high degree of energy for a long time, as in the bullfight or in a three-day event. He must be very brave so as not to mind when he occasionally gets hurt by a bull or an obstacle or gets threatened by another horse/rider combination like in polo, horseball, et cetera. He needs to be patient in order to tolerate incessant demands from the rider during the bullfight without becoming irritated, fearful, or sullen. He must be extremely careful not to touch the poles of the show jumps and to stay away from the bull's horns, yet bold enough to jump fences willingly and to approach the bull with a daring courage. The Iberian's mind is in some ways similar to the one of a sheepdog, always eager to work, anxious to learn, and quick to remember the exercises learned years earlier, seemingly without much prompting. Their degree of intelligence, developed by long selection, is very high, but does not bring them to boredom because it is combined with good will. Many school horses of this breed, after years of being ridden by beginners, still perform generously and correctly when asked. Their docility is exemplary and strong stallions can be seen ridden in company by children as young as six or seven, whom they obey purely out of gentility. The psychic qualities of this horse are as important if not more important than the physical ones. One of the particular abilities of the Iberian horse is to easily understand the 'difficulties' of high-level training. He seems never to get confused about the many different types of movements and situations. His quickness of mind has served him well; he is the circus horse of choice and practically has the monopoly on fancy movie work. Columella says eulogistically: " ...as to temperament, the most esteemed are those, which although easily excited, can nevertheless be calmed, and those which although calm are hard workers." This particularity of temperament is unique to Iberian horses. Due to the spiritual nature of Iberian horses, a transcendental process occurs between horse and rider when the heart and soul are opened through the rider. Jean-Philippe Giacomini states, "After 30 years of a professional experience that spanned 11 countries on both continents, I have had the opportunity to ride and compare most breeds of horses. Through my in depth study of the classical horse, I eventually acquired the overwhelming conviction of the historical injustice that was done to this marvelous animal and the culture of which he is the soul. This breed, probably the oldest known as a riding horse in the world with 60 centuries of evidence, whose presence has been established throughout history in every country of the Old and New World absolutely deserves the title of a "Living Treasure". In the years of study I spent in the Iberian Peninsula, I learned that the predisposition of this equine ballet dancer may have started by an accident of evolution 30,000 years ago, somewhere between Morocco and the south of Spain and has since been refined by centuries of fine tuning on the part of the Iberian breeders. The incredible ability of this horse to read the thoughts of his rider is genetically imprinted in his alert and willing mind and in his body, whose flexibility and energy seem limitless. The resulting feeling for the rider who will attune his/her own sensitivity to that of his/her mount, is one of bliss and superhuman power. The kind that makes him feel able to move like lightning in any direction and without any effort other than wanting it. I felt compelled at the time to know this equine marvel better. It led to a lifelong dedication to study through its history the nature of his prowess and build a strong desire to help modern breeders to conserve and further refine the Iberian horse with each new generation, extend its possibilities and further improve the relationship between the human and the horse. This is the tale of the Iberian horse and his influence over many cultures and most equine breeds. My sense of mission stems from a long owed debt to a breed that has provided me with an addictive profession, a difficult but rewarding path of enlightenment and insight to a culture that felt like home as soon as it was revealed. The first gift of this horse to me was of a very personal nature: the revelation of the genuine artistic potential possessed by the Iberian to the highest degree. After nearly a decade of having used the mechanical approach to riding, learned from the French military, I discovered an animal that was like an extension of myself: an old dancing partner that already knew the steps and enjoyed the music. The Iberian horse has been the common thread to many cultures. He alone often survived them with his glory intact as he traveled through time, the vehicle of conquests and retreats, the living symbol of victory and power, an animal so resilient that no political upheaval has managed to erase him out of our lives. To this day, he is still adored by the survivors of the cultures he touched, served and embellished and, surprisingly, by the ones he helped to destroy. His beauty, his serenity and the sense of service he displayed through 60 centuries of history often made him, along with art, the only guardian of our softer emotions: Love and the sense of Beauty. The first appearance of the Iberian horse is recorded in the cave paintings of the south of Spain dated before the Ice Age: Osuna, La Pileta near Malaga and Escoural in Portugal and most likely migrated there from northern Africa. In comparison, the study of the paintings in the caves of the south of France, like Lascaux, or the north of Spain like Altamira, show a different breed who resembles completely the modern ponies and are known in Spain and Portugal as Garranos. The horses in the south have all the distinctive features of the proto-Iberian represented today by the Sorraia. The Sorraia is a dun or grulla horse with a height of roughly l4.2 hands, a subconvex profile, long legs and an arched neck. The paintings were found in the same areas where riding artifacts were discovered, indicating an equestrian culture as far back as 4,000 B.C. In the Peninsula, the original Sorraia probably crossed with the northern Garranos. The result of the mixing of those two inbred groups of equines resulted, because of the hybrid vigor, into a horse of larger size sufficient to be ridden by man and capable of performing warlike evolutions. Although this new horse benefitted from the outcross by gaining size, it seems that the north African horses' genes were determinant in all other aspects of his development. The modern Sorraia was preserved and bred back to purity by Ruy D'Andrade out of semi-wild herds he discovered in Portugal around 1920 between the rivers Sor and Raia. Small herds still exist in Portugal and one was exported to Germany. This horse was present throughout the Peninsular history but was slowly discarded to the benefit of his more sophisticated and taller descendent, the Andalusian. The land bridge that existed between Spain and North Africa also permitted the Sorraia type horses to migrate south into Africa following the climatic whims of the glacial period. Later, the Iberian tribes of African origin moved north into the Peninsula and brought this same horse, now modified by a different climate, back to His country of origin. This back and forth migration carried on throughout history. When bred in Europe, this horse is the one that history got to know as the Iberian Genet, the Peninsular, the Andalusian, the Lusitano, the Castilian and the Estremeno according to where he originated: All those are different names for the same horse. When bred in Africa he was called Barb, Berber, or Barbary Coast horse. The only significant difference between the two breeds is size, mostly due to nutritional differences which can be attributed to the richer soil in the Peninsula's estuaries. The combined history of the Barb and the Iberian horse is probably a fine example of the chicken and the egg. Which came first? When the Arabs invaded Spain their cavalry was composed mostly of recently converted Berber warriors mounted on Barbs, rather than Bedouins on Arabian horses. Many historians have confused the two populations of both horses and people without realizing that the horse was a total rarity in the Arabian peninsula. When he conquered Mecca in the 8th century, Mohammed's army was essentially riding camels and had less than 200 riders among l0,000 men. The Portuguese crusaders later conquered Tangiers and again brought Iberian horses back to Africa. In 1578, Dom Sebastian, then King of Portugal, lost his life and the battle of Ksar el Kebir thus leaving behind thousands of horses of which modern Barbs are the most likely descendants. History will have gone full circle several times in this part of the world. Iberian horse forged through centuries of single combat in countless wars. Nuno Oliveira, through a life of study, trained countless horses and innumerable students all over the world. With several books, he promoted the Iberian horse and revived the classical style of riding developed by the French through their contact with the Genet. Fernando Sommer D'Andrade, following in the footsteps of his father, Dr. Ruy D'Andrade, completes the Pantheon of the Lusitano's history. This amazing family brought back the Sorraia, tirelessly wrote and published indispensable information in various languages, created the Portuguese stud book, and implemented many programs of inspection, selection and promotion of the breed. In the mid-1970s, again under the impulsion of Dr. Borba, Portugal created it's own National School and reminded the world of the greatness once seen at the Royal Palace of Belem. If we could ask all those great men, past and present, from France, England, Austria, Italy, Spain and Portugal, what they expect in return for their lifelong dedication to the most sublime of horses, they would quite surely respond that the immense pleasure and love they have received from their Iberian horses was payment enough. The establishment in 1992 of Trophaeum Mundi was the realization of a long awaited dream for Jean-Philippe Giacomini. TM is a nonprofit foundation aimed at developing an alternative classical dressage competition and promoting the vast equestrian culture that flourished in the Iberian Peninsula for centuries. It's first goal is to collect and create information in order to reach and motivate the largest possible public by the way of print, videos and seminars. This fledgling organization has met with great enthusiasm so far by a public craving to learn at every level. Jean-Philippe says now, more than ever, TM needs your help to carry on with it's work, and your tax deductible donation of any amount will help further writing, printing, videotaping and organizing of clinics and seminars. After the Spanish reclaimed their lands, tragically, the plague followed by famine, nearly pushed the breed into oblivion. Fortunately, the horses survived in a few mountainous areas of Spain, notably at the Carthusian Monastery. The animals of this herd are today known as the Carthusians, the finest of the Spanish horses. In order to conserve the rare horses for breeding, the government of Spain placed an embargo on their export. For more than 100 years, the pure Spanish Andalusion was virtually unseen by the rest of the world. Then in the 1960's the export ban was lifted. The Iberian horse (Andalusian) was so adept at this training that nearly all of the oldest and most famous riding schools started with Spanish horses. The best example of this is the Spanish Riding School in Austria, thus named for the Spanish horses that if used. 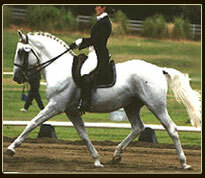 The Lipizzan breed is an ancestor to the Andalusian, being almost totally of Spanish blood. As recently as 1968, a four year old stallion of the Carthusian line of the Andalusian was imported to rejuvenate the present line of Lipizzans in Austria. The Hapsburg family controlled both Spain and Austria when the art of classical riding revived in Europe during the Renaissance. 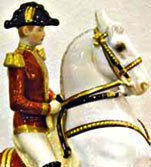 There was a need for light, fast horses for use in the military and the riding school. The Spanish horse, produced during Moorish rule by crossing Berber and Arab stallions with Iberian mares, was considered the most suitable mount because of its exceptional sturdiness, beauty, and intelligence. In 1562, Maximillian II brought the Spanish horse to Austria and founded the court stud at Kladrub. His brother Archduke Charles established a similar private imperial studfarm with Spanish stock in 1580 at Lippiza (nowadays: Lipizza [Italian], or Lipica [Slovenian]) near the Adriatic Sea. Here on the Karst plateau near Triest the type of horse which was bred in Lippiza was called the Lippizaner. Today in Europe the breed is called Lipizzaner or, in the United States, Lipizzan. 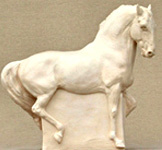 The Kladrub and Lipizza stock were bred to the native Karst horses, and succeeding generations were crossed with the old Neapolitan breed and horses of Spanish descent obtained from Spain, Germany, and Denmark. The Kladrub stud produced heavy carriage horses. Riding horses and light carriage horses came from the Lipizza stud, although breeding stock was exchanged between the studs. The Kladrub stud produced Maestoso and Favory, two of the foundation sires of today's Lipizzan. Of the sires used during the 18th and 19th centuries, only six established sire lines: Conversano, black, a Neapolitan, born in 1767; Favory, dun, transferred from Kladrub, born in 1779; Maestoso, grey, a crossbred by a Neapolitan sire and out of a Spanish dam, transferred from Kladrub, born in 1819; Neapolitano, bay or brown, from another Neapolitan sire, born in 1790; Pluto, grey, of Spanish origin, from the Danish stud, born 1765; Siglavy, grey, an Arabian, born in 1810. By the 1800's, there were no longer any original Spanish horses available, and Arabians were used to strengthen the lines. Of the seven Arabian stallions used, only Siglavy founded a separate dynasty. Two other stallion lines which did not find favor at the Lipizza stud were perpetuated at other studs within the boundaries of the Austrian empire. The Tulipan (Croatia) and Incitato (Transylvanian--Hungarian) lines are still found in Yugoslavia, Hungary, and other eastern European countries as well as North America. In addition to the sire lines, 35 mares established dominant families which are recognized today. Each country established traditions in naming, branding, and otherwise identifying Lipizzans.